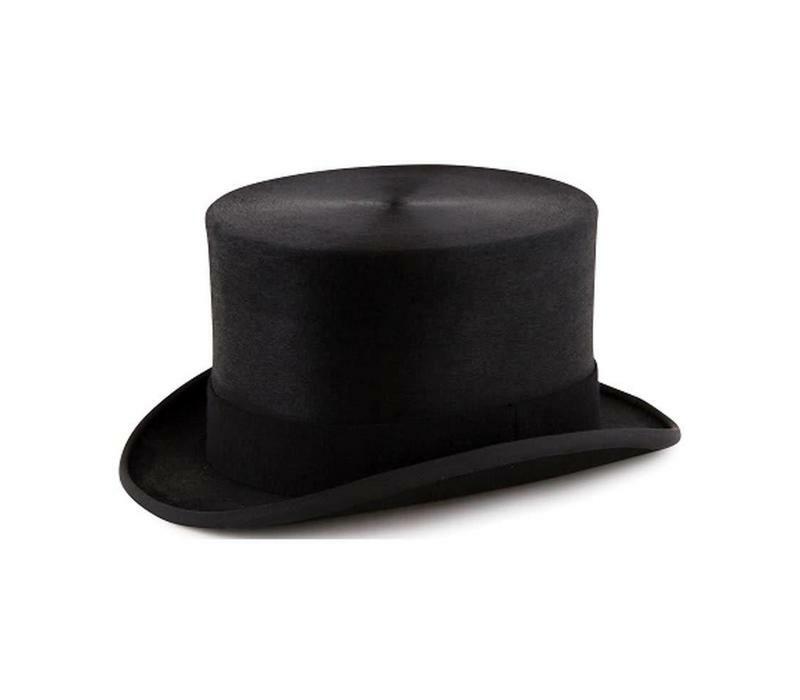 Oliver Brown specialises in top hats offering a substantial collection of beautiful antiques and contemporary alternatives. 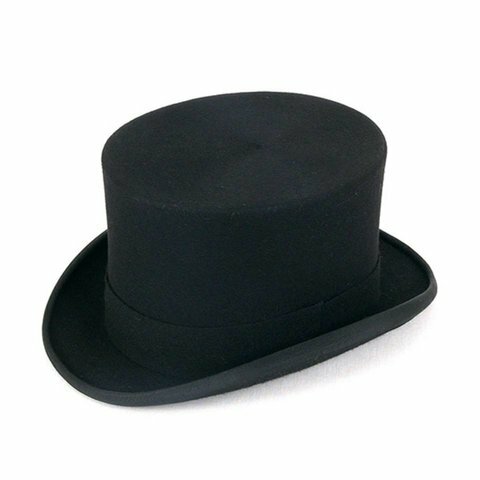 This top hat is made from melusine, a special long-haired fur felt that is the closest alternative to the silk originals. 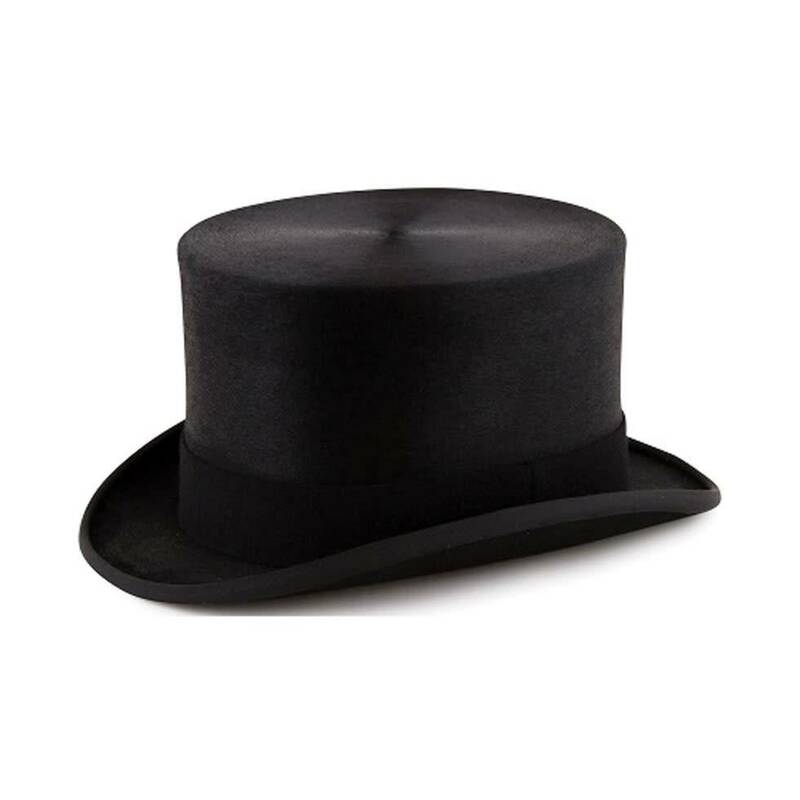 The hat has a beautifully polished finish and a noticeably elegant profile, this topper stands at 5", a little lower than it's taller counterpart. Finished with a grosgrain ribbon band and white satin lining.